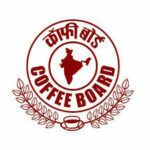 More details related to the Coffee Board Recruitment 2017 such as education required, age limits, selection process, how to apply etc., are given below. Job applicants, who are applying for above said posts must have completed Graduation Degree (Law) from a recognized Board / University / Institute. Selected Candidates will receive salary of Rs. 50,000/- and other benefits as per Coffee Board Policies Circulars. The selection of contestants who are participating under Coffee Board Recruitment 2017 shall be through the Written Exam / Personal Interview. Eligible contestants who fulfill the all term and conditions of eligibility must read all the instructions and information given on the notification cautiously and download the application format from official website of organization i.e. www.indiacoffee.org. Deadline to Submit Hard Copy of Application Form Is : 06-10-2017.